The evaluation process seeks a balance between order and chaos. The interaction of four elements�simplicity, inventiveness, flexibility, and specificity�allows complex patterns to emerge. The case studies illustrate this framework and provide a number of examples of practical management of complexity, in light of contingency theories of the evaluation process itself. 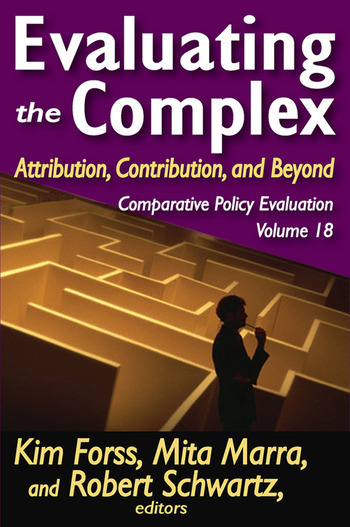 These theories in turn match the complexity of evaluated policies, strategies, and programs. The evaluation process is examined for its impact on policy outcomes and choices.